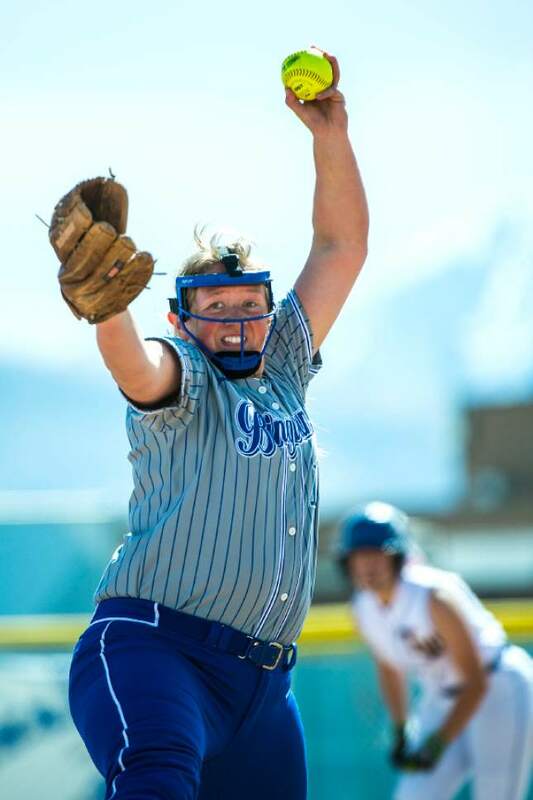 Prep softball • Bingham High's pitching is a strength as state tournament begins Tuesday. 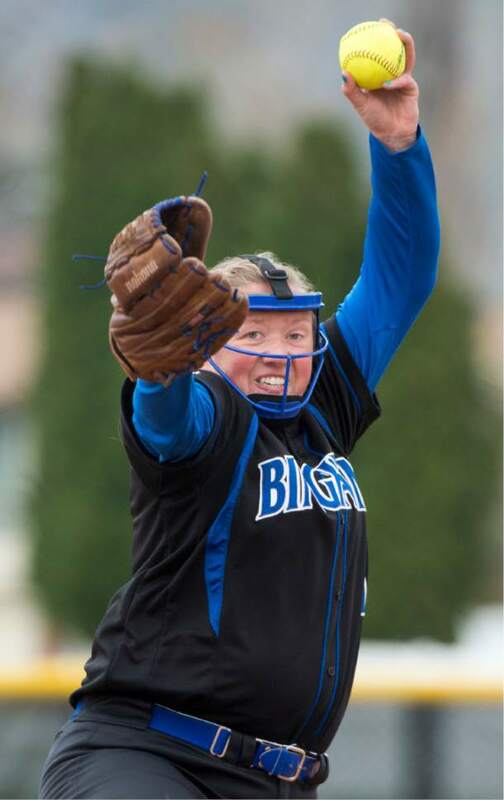 | Courtesy Bingham High School Bingham pitcher Karly Wightman delivers during a game earlier this season. The Miners open the Class 5A playoffs Tuesday. Chris Detrick | The Salt Lake Tribune Bingham's Nicole Wall (1) pitches during the game at Bingham High School Thursday, April 6, 2017. Chris Detrick | The Salt Lake Tribune Bingham's Nicole Wall (1) pitches during the game at Bingham High School Thursday, April 6, 2017. Chris Detrick | The Salt Lake Tribune Bingham's Nicole Wall (1) and her teammates celebrate after an out during the game at Bingham High School Thursday, April 6, 2017. Rick Egan | The Salt Lake Tribune Nicole Wall (11) pitches for Bingham High, in prep softball acton, Bingham vs. Davis, in Kaysville, Tuesday, April 11, 2017. 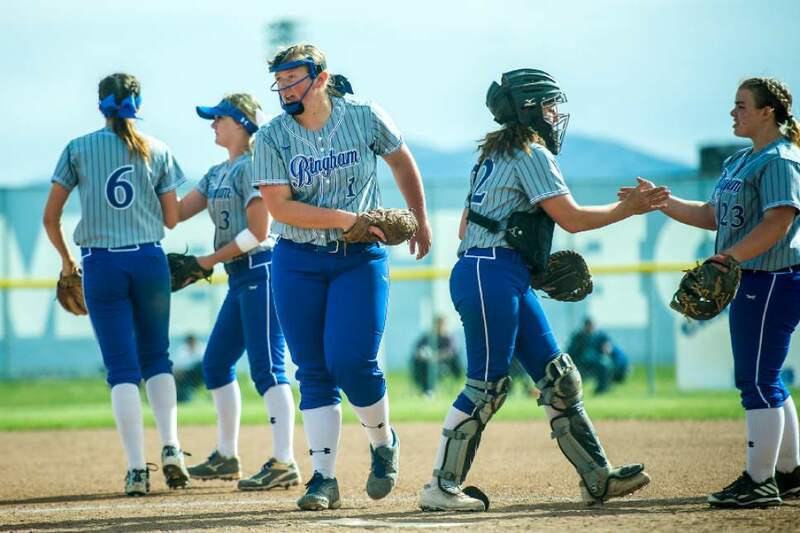 South Jordan • It&apos;s been seven years since the Bingham softball team added a state championship trophy to the school display case, but the Miners have to be considered one of the top contenders this season with a pair of left-handed pitchers in the dugout. Coach Mikki Jackson is a proven winner. Her teams earned three consecutive Class 5A titles from 2008 to 2010, and her teams have made the tournament every year since then. The Miners were one run short of another crown in 2013. 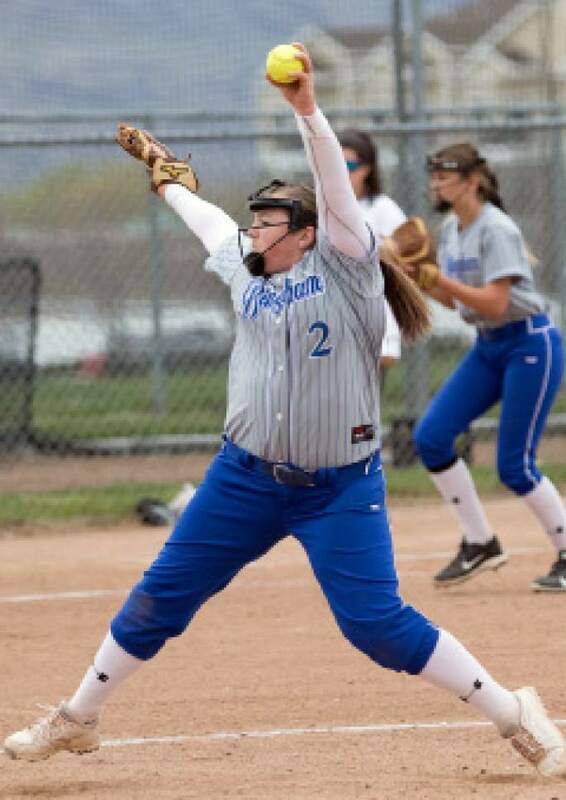 Bingham&apos;s prospects are bright with juniors Nicole Wall and Karly Wightman available to pitch not only for this season but next year as well. A program can go many years without a lefty on the pitching staff, and to have two good ones at the same time is almost unheard of. It gives Jackson&apos;s squad a definite advantage because most batters aren&apos;t accustomed to facing left-handers. "A lot has to do with the way the ball is coming across the plate," Jackson said. "The release looks different and the break is different. Batters aren&apos;t used to that, especially if the pitcher can move the ball." Wall is one who definitely can do that. "Nicole tends to throw a mixture of speeds but has good velocity and more success getting strikeouts," Jackson said. Wall has fanned 146  better than 1.5 per inning  against 31 walks. "She&apos;s stayed humble and is constantly working to improve," Jackson said. "She notices a lot of little things about her teammates and her opponents that help her to be successful. She also genuinely enjoys the success of others and is always encouraging and being positive with her teammates. "She&apos;s thrown perfect games and games with lots of strikeouts, but she&apos;s the first to say it isn&apos;t all her. She says, &apos;It&apos;s all of us who created this perfect game.&apos; She&apos;s also confident in coming through in crunch time." Her team-first attitude was very important when Wightman transferred to Bingham as a sophomore. Transfer rules limited her to junior varsity contests last season, but Wall was in the vanguard of those who welcomed her into the program. "I love it here," Wightman said. "My teammates are wonderful and accepted me right when I got here. The coaches are amazing and have really worked well with me. It&apos;s way cool to be with Nicole. It&apos;s actually helped us push each other to be our greatest." Wightman and Wall use different strategies to get outs. "Karly relies a little more on location," Jackson said. "She comes out of her pitch and defends well in the middle. The ball goes into to play more. They&apos;re both good at generating ground balls and pop-ups." Jackson said that Wightman also is developing into a leader for the club. Five players to watch • Paige Reynolds, Sr., Davis, .500 batting average, 30 runs scored, 12 RBIs, 35 SBs; Jazmyn Rollin, Jr., West, .600 batting average, 46 runs scored 40 RBIs, 13 HRs, 24 SBs; Dayna Hokanson, Sr., Herriman, .489 batting average, 37 runs scores, 24 RBIs, 22 SBs; Rylie Bennett, Fr., Fremont, .548 batting average, 30 runs scored, 6 RBIs, 14 SBs; McKenzie Dorney, Sr., Bingham, .456 batting average, 23 runs scored, 25 RBIs. 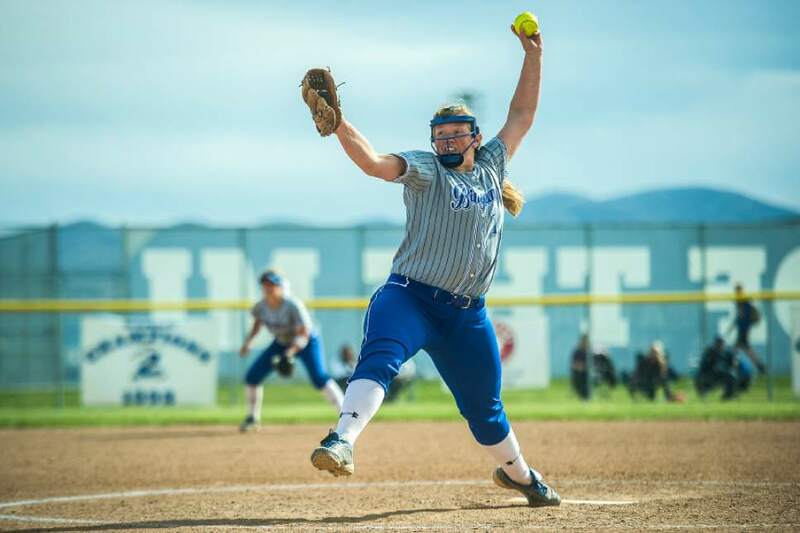 Five players to watch • Cambrie Hazel, Sr., Spanish Fork, 19-0 in the circle, 0.84 ERA, 180 Ks, 31 BBs, 108.1 IP, .438 batting average, 23 runs scored, 20 RBIs, 5 HRs; Taylor Sorenson, Sr., Box Elder, .560 batting average, 45 runs, 52 RBIs, 14 HRs; Riley Newbold, Jr., Cyprus, .596 batting average, 30 runs scored, 25 RBIs, 8 HRs; McHailee Danner, Jr., Bountiful, 13 pitching wins, 3.20 ERA, .471 batting average, 32 runs scored, 27 RBIs, 5 HRs; Sydnie Monson, Jr., Murray, .523 batting average, 31 runs scored, 30 RBIs, 2 HRs.